At the end of October Blockpass was incredibly busy attending four events simultaneously around the world - the most concurrent conventions attended by the company to date! Each one had a specific focus. 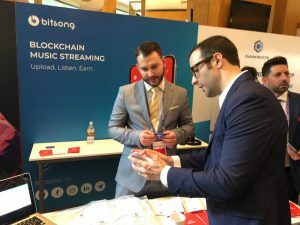 Hong Kong Fintech Week investigated a range of revolutionary technology, the Malta Blockchain Summit marked the release of Malta’s blockchain regulation and showcased many aspects of the technology. Amsterdam’s Consumer Identity World Tour stop looked into consumer identity. In Las Vegas, World Crypto Con was attended by thousands of crypto and blockchain enthusiasts looking for ways that the technology could assist them. From October the 29th to 31st, at the Consumer Identity World Tour’s visit to Amsterdam, a small, elite group of mainstream identity providers gathered to discuss consumer identity. 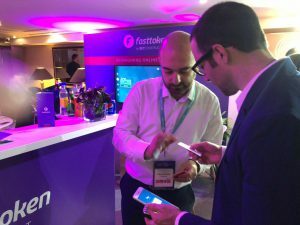 Here, Blockpass spoke about, and demonstrated the use of, the Blockpass platform as a means to enable simple and compliant onboarding of customers. Demonstrating the use of blockchain technology to an audience who rely on established, more traditional methods, the solution was viewed as a visionary method and its reception shows promise for the mainstream adoption of blockchain technology and Blockpass in particular. In Hong Kong from the 30th of October to the 2nd of November, Fintech week showcased the potential of a number of new technologies such as AI, blockchain and other distributed ledger technologies. 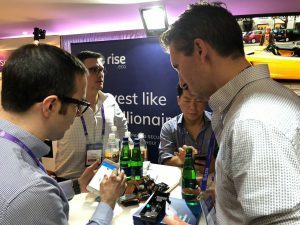 With a huge number of attendees, the event was buzzing with people eager to find out the potential FinTech solutions to problems that are commonplace today. There were a number of start-ups using various methods to solve issues; not all were blockchain-based but there was a considerable amount of crossover between all technologies. A large number of attendees and speakers were present – particularly from financial services such as banks, but many others such as legal firms were in attendance. Many large companies were investigating leveraging the technologies on offer to explore new or emerging markets. Regulation was a hot topic which suited Blockpass as it showcased its KYC platform to those present and explained to them how Blockpass achieves compliance – notably describing how Blockpass ensures privacy and compliance with the user-centric app keeping individuals data on their own device. In Vegas, the World Crypto Conference took place in the Aria hotel with exhibitions and talks across four levels. Beginning on the 31st of November, the three-day started with a day of workshops and classes, followed by two days of events which showcased many different aspects of cryptocurrency and blockchain technology from wallets to applications for industry to crypto-bets. The Blockpass booth was a busy space with people from all kinds of backgrounds and sectors discussing how the Blockpass Identity application could be used to provide vital KYC services or improve their business. These talks may well lead to future partnerships and developments in the future so keep an eye out for announcements in the coming months. 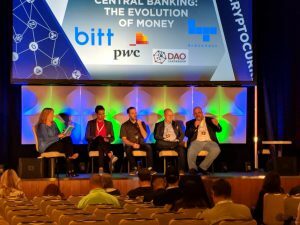 Besides showcasing the Blockpass app and other services at the booth, Blockpass also took to the stage to explain how Blockpass helps businesses and the outlook for blockchain technology with Dr Hans Lombardo speaking on KYC, AML, decentralisation and other topics in two panels – Cryptocurrency and Central Banking: The Evolution of Money, and Decentralising Trust and Reputation. It was an impressive but relaxed event, with a vibe of excitement and enthusiasm for the potential of blockchain technology. Malta played host to thousands on the 1st and 2nd of November at the Malta Blockchain Summit. Taking place as Malta launched its blockchain regulations, many were eager to see what path the jurisdiction would take when dealing with distributed ledger technology, but the event covered much more than just regulations. Blockpass CEO Adam Vaziri was in attendance, discussing and demonstrating the uses of Blockpass and how it can be applied to many different industries. Vaziri was also part of a panel discussing blockchain transparency vs the right to be forgotten. Although many see a transparent, immutable ledger as an issue for GDPR, Vaziri was quick to point out that GDPR was aimed at removing the control of personal data away from companies and back to the individuals – something that blockchain is entirely suited to do – and that the real issue for GDPR was enforcing it. Vaziri argued that, with a self-sovereign identity, blockchain actually provides a technological solution to GDPR enforcement. With the right tools, such as the ones Blockpass is working on providing, it will be possible to permission and de-permission access to data and reset the balance of power between company and consumer. Essentially, blockchain is the technological incarnation of GDPR. 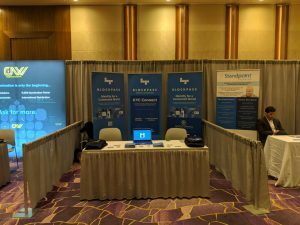 If you have the chance to see Blockpass at one of our future events, stop by to say hello and find out more about how Blockpass can change the status quo. To find out where we’ll be keep an eye on our social media channels and newsletters.